This media offers advertising opportunities on traffic booths situated on highways and road junctions. As vehicles halt at these junctions the audience can spend few minutes on the details of the advertisements. All four sides including the top section are used for advertisements and they have either lit or non-lit pedestals built depending on the traffic flow. 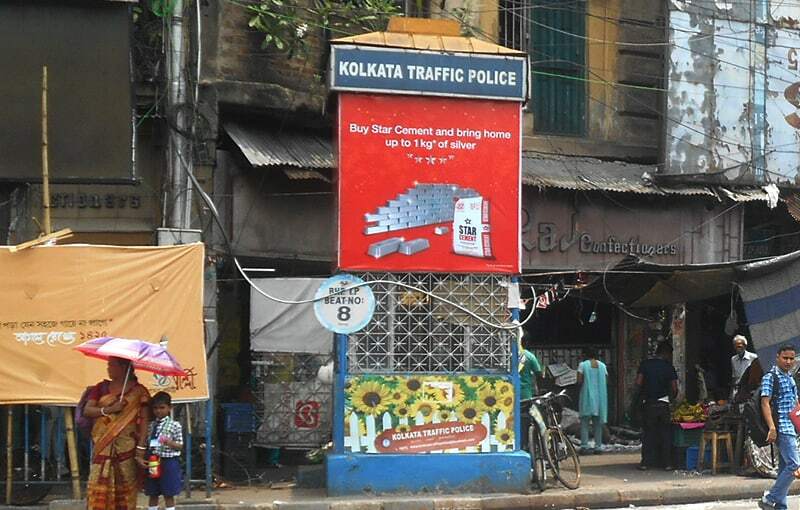 Selvel has come forward to join hands with the Kolkata Police (KP) to implement 54 extensive traffic signaling management system. Selvel bears the entire costs of setting up the infrastructure of importing and implementing high-end machinery and automated systems to give the city a state-of- the-art signaling system. 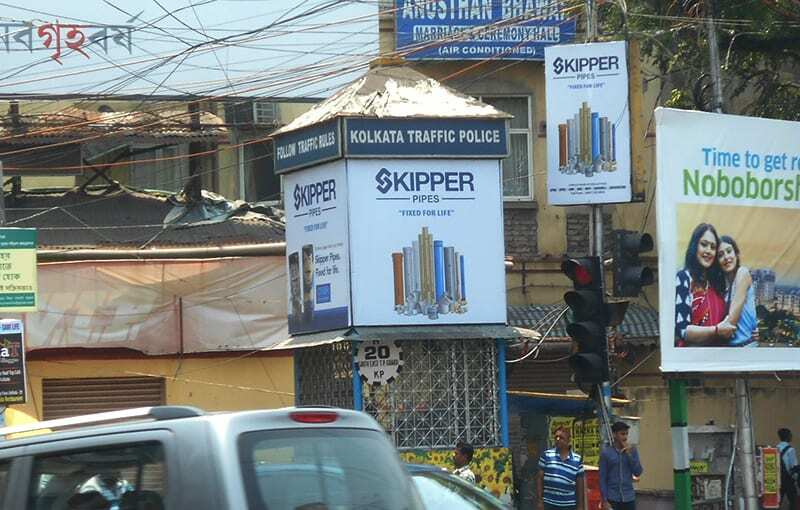 In lieu of the infrastructure that Selvel put up, the KP and the Kolkata Municipal Corporation (KMC) awarded the rights to use certain specified spaces for advertisements. In this way Selvel was able to recover a portion of the asset costs and help in the proper maintenance of the said system. We have been working very closely with the Deputy Commissioner of KP and have been recently invited by the Commissioner of Police, Asansol to set up some similar infrastructure. Simple, to-the-point graphics with one key message is the way to leave a lasting impression in their mind. Free to passers by – since everybody who drives a car has to stop at a traffic signal, seeing the advertisements is easy and free. With more commuters on the roads than ever before, the advertisements are bound to be noticed by car drivers and pedestrians alike.